Rick Fraga, currently performing wine education for Deloach Vineyards, has been working over 25 following his passion for wine. His wine experience includes hospitality, education, cellar work and sales for wineries including Konrad, Fife, Greenwood Ridge, Dutcher Crossing, Acorn, Stryker Sonoma, Martinelli, Robert Young, Roadhouse, Wilson, Copain and now Deloach! Additionally, he has completed programs in Wine Business, Marketing, Evaluation and Service at Santa Rosa JC, he continues to work with the Wine Studies program at the JC as a guest lecturer. Leading to this current segment of his life, Rick had a 25 year career in Telecommunications Management, retiring from AT&T in 2005. His telecom career followed three years in the US army, then earning his college degree at CSU, Chico. Over the past few years Rick has taken on the challenge of wine writing, occasionally contributing articles for Eve’s Wine 101, a Southern California site that covers food, wine and spirits! 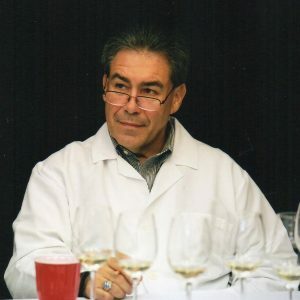 Additionally, he has been a professional wine judge for the last 8 years participating in the San Francisco Chronicle Wine Competition, The Rose Competition, the Lake County Wine Competition and the Alameda County Wine Competition. Rick is a proud father of three grown sons and grandfather to four beautiful little girls. On his non wine related days you can find him, hiking, traveling, or just catching up with his family and friends. Rick believes that “Life is too short to drink bad wine”, which translates into not only trying to find out which wine is good or bad, but encouraging other to do the same. His frequent advice to others is “Find your Palate and then enjoy it! If you would like to contact Rick he can be reached at gatewaytowine@gmail.com.